Xceptional Wildlife Removal has a mission to deliver the finest quality of wildlife and pest removal service in the industry. A service centered on quick response and the highest level of customer satisfaction, demanding the ethical treatment of animals and methods that are environmentally sound. We protect people from the dangers of nuisance wildlife and pests in their homes or commercial properties. We hire only the best, insuring highly trained and educated professionals every time. With a scientific approach to wildlife and pest removal, we aim to deliver cutting-edge solutions to fit your needs. Our goal is to solve your problems while ensuring animals are treated in a humane and ethical way when removed. "The purpose of every Xceptional employee is to earn the confidence of the people we serve, by offering solutions to their evolving needs, always challenging ourselves to reach the highest level of customer satisfaction." 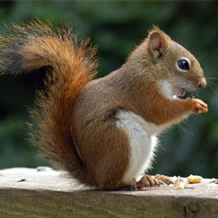 We remove nuisance wildlife and pests from residential and commercial properties. Xceptional Wildlife Removal employs degreed wildlife biologists to perform the work necessary to solve any wildlife or pest problem you may have. Our staff of biologists is the highest educated and experienced in the industry, bringing over 50 years combined experience in the wildlife management and pest control field. Utilizing cutting-edge technology, Xceptional approaches every situation with a scientific approach, handling wildlife and pest problems in the most humane, professional, environmentally-friendly, and effective way possible. Our aim is to humanely trap nuisance wildlife and relocate when possible to areas that will not cause negative interaction between wildlife and people. Here at Xceptional Wildlife Removal, we stand behind our work 100%. 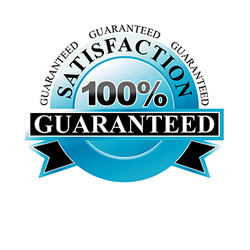 Our guarantee is basic: our service works, keeping animals and pests out! We go to the Xtreme to make our customers satisfied in every situation, every time. Because every problem is unique, our biologists will discuss at time-of-service the best solution for you and what to expect in the process. You may need a wildlife management program or pest program to insure your home and family are protected. Exclusion services may be needed to restore your home back to normal and prevent future recurrences. No matter what the situation demands, we will deliver Xceptional results, guaranteed. Humane is not just a word, its our mission!